It’s always fun to round up the posts that have been the most popular over the previous year. 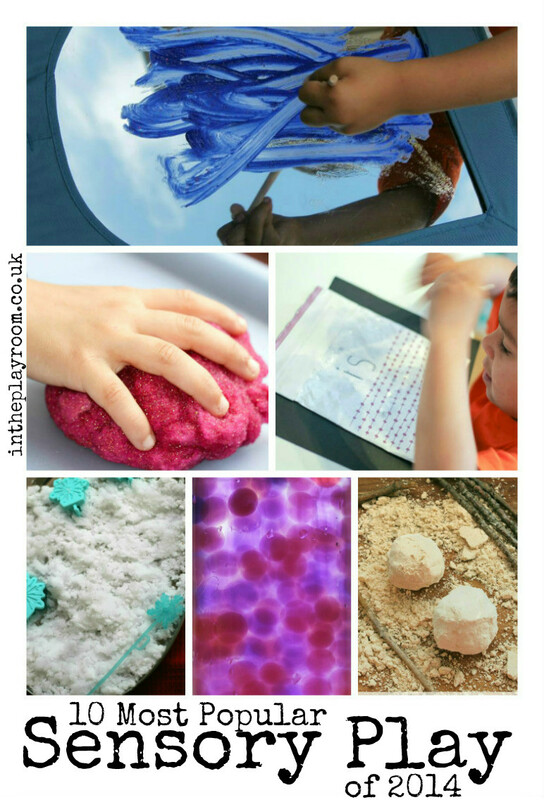 As we are coming to end of 2014, there are lots of fun sensory play ideas to look back on. Sensory play is something I’m passionate about sharing here on In The Playroom. 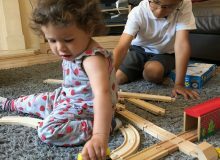 It does not have to be super messy (although messy is fun too), and nor do sensory toys have to be extremely expensive – you can make your own sensory fun at home. Over the coming year, I hope to continue sharing easy and fun ways to incorporate sensory play into your daily routine with kids. 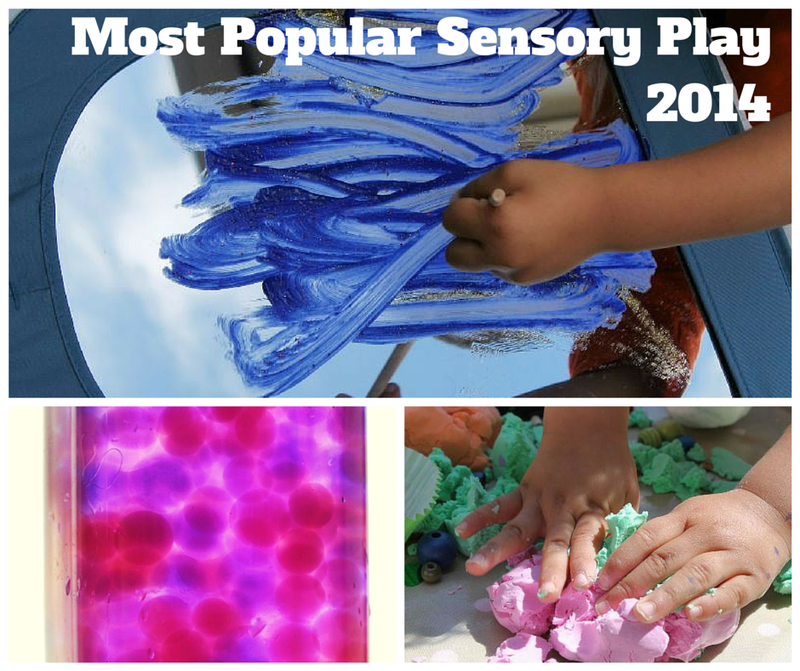 Here are some of the fun sensory play ideas that have been the most popular with readers during 2014. This stuff is playdough with a difference. It’s sparkly, squishy, squidgy and lots of fun. You can make it at home with basic ingredients and modify it to try your own colours and designs. Like the snow, it’s a great option for tactile sensory seekers. Get the directions on how to make this sparkly gel dough here. Mirror painting is one of my personal favourites. It’s so pretty, so shiny and very relaxing and calming. My boys will spend a really long time on this. We have incorporated mark making, and included it with various themes through the year. It offers great visual sensory input, and tactile input too with the soothing feel of the paint brush against the smooth glass mirror. 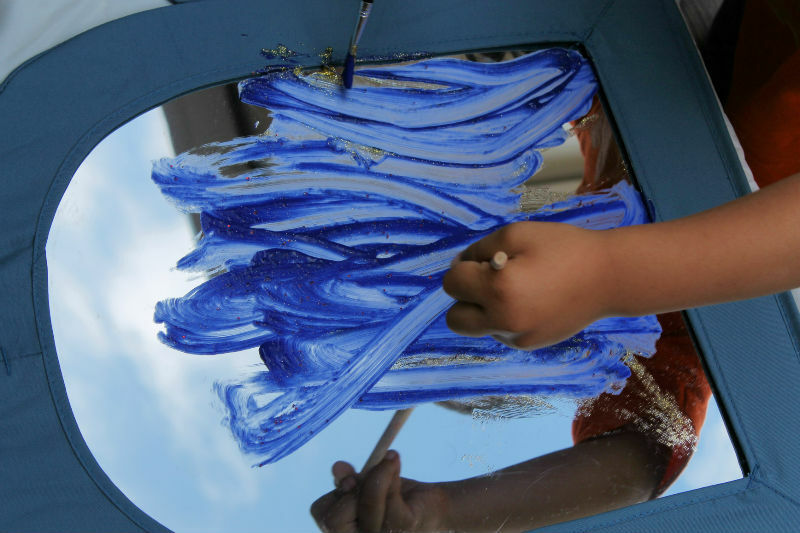 See here for more pictures and details about mirror painting. 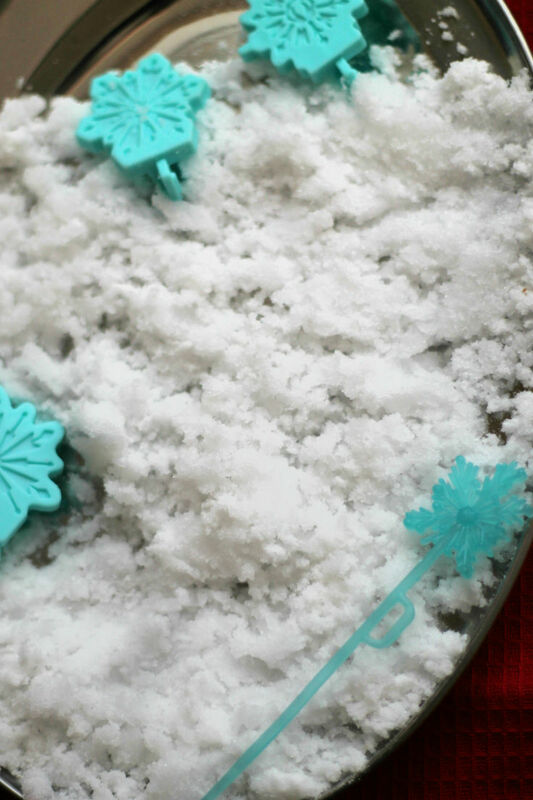 Cloud dough is one of the easiest and quickest sensory play materials to make. With just a couple of ingredients and a few minutes, you’ll be ready to go with a dough that can be packed together and formed into shapes, but also crumbles down into a fine sand. We love this stuff! 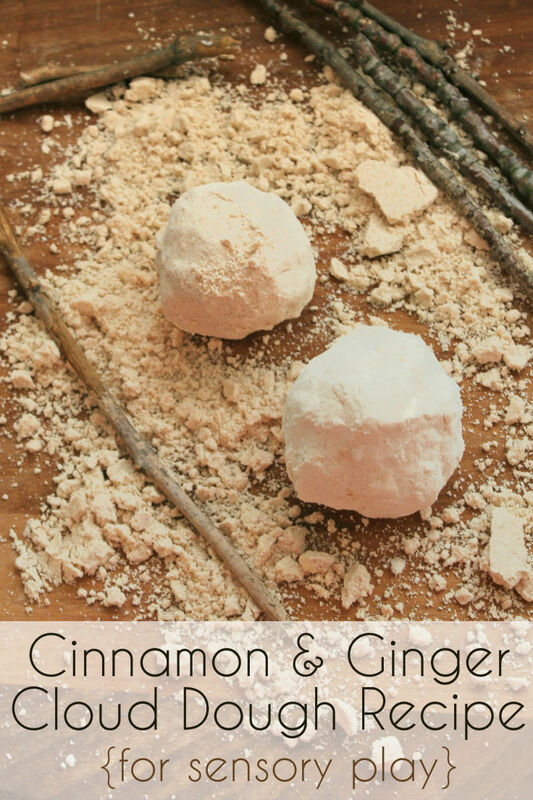 The cinnamon and ginger recipe is perfect for Autumn and winter, to bring a scented element into your tactile sensory play. Get the cinnamon and ginger cloud dough recipe here. During Autumn, this collection of sensory doughs was popular. I rounded up ideas from other members of the Kid Blogger Network and shared these Autumn and Halloween themed cloud doughs and playdoughs. 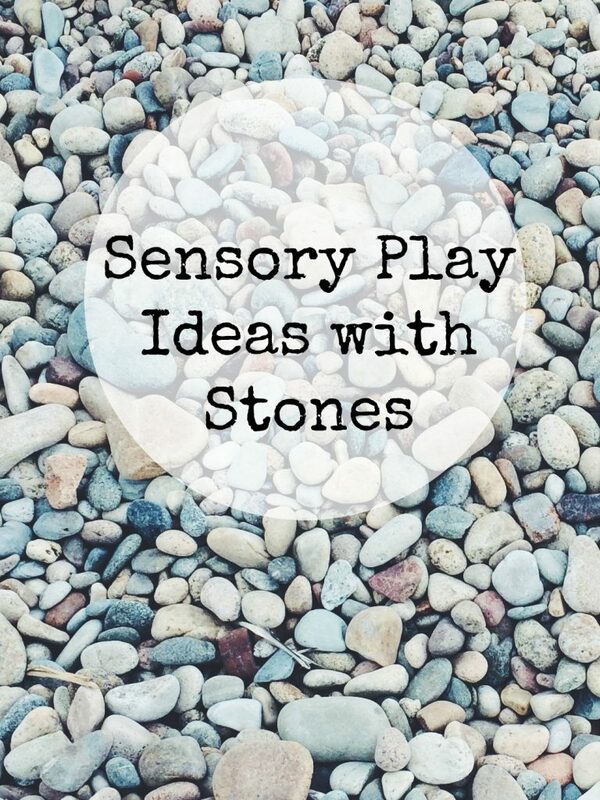 There are so many fun sensory activities out there, I love to bring you new ideas from other great blogs too! 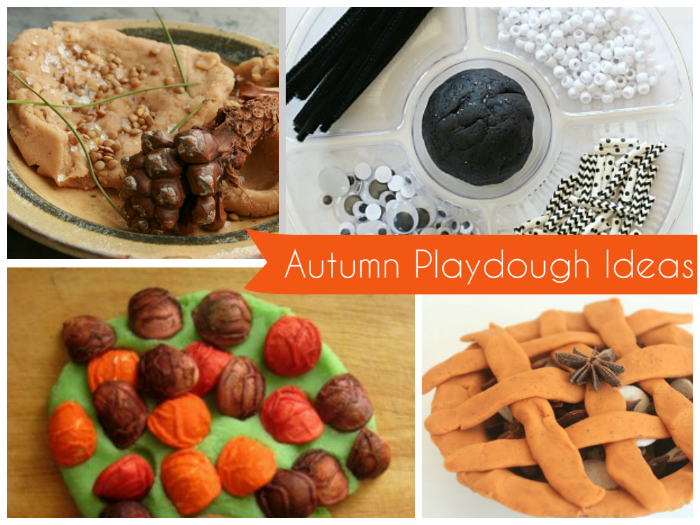 See all the Autumn playdough ideas here. There are over 30 sensory dough recipes to be found in this post. You can’t help loving toy dinosaurs! There are so many ways to play with them, and they can be incorporated into lots of sensory play activities. We shared ideas for including them with a few of our favourite sensory materials. 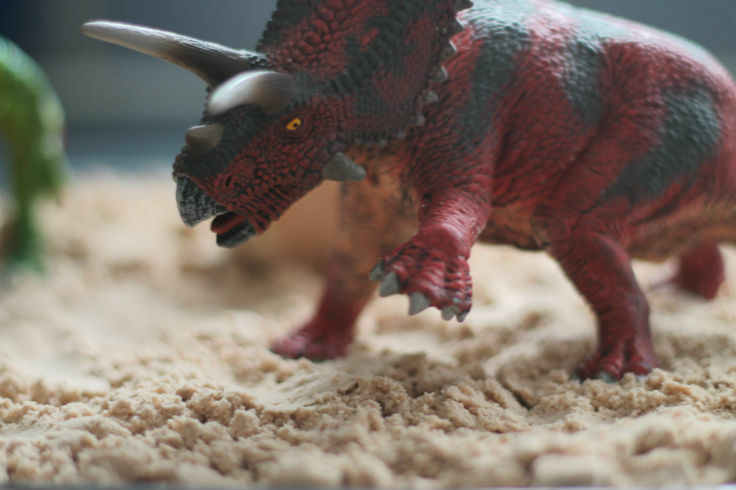 See our suggestions for dinosaur sensory play here. 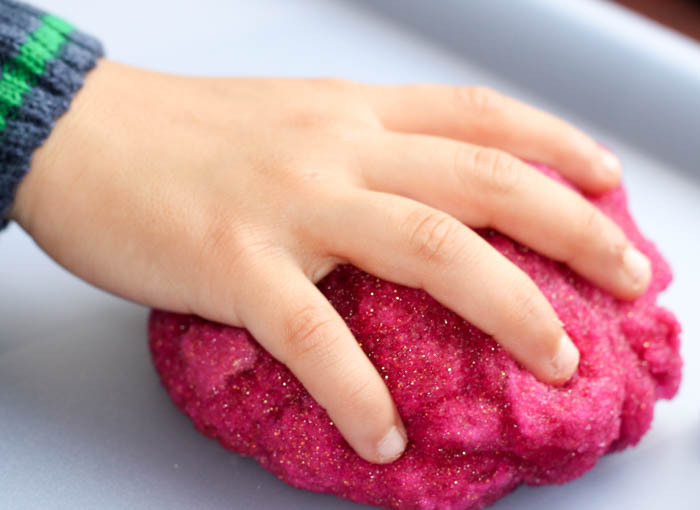 This one is a guest post from Lisa Bradburn who shared her fail proof playdough recipe with us along with some simple play ideas to use with your home made playdough. 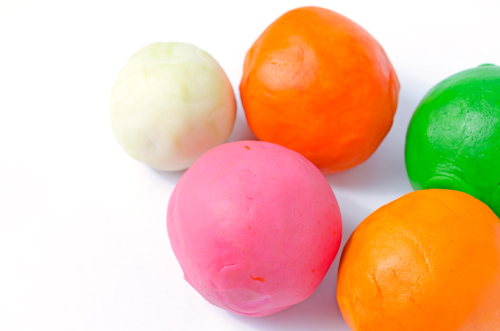 Information that’s invaluable for mums of young children, as playdough is such a classic sensory play activity. This post is popular mainly with people googling what is moon dough, and what do you do with it? Moon dough is a shop bought sensory play material, and I like to include this to show that you don’t have to make everything yourself. Although I’m sharing many home made play dough and cloud dough recipes and sensory play materials – this shop bought moon dough is very cheap. Not everyone wants to, or has time to make everything from scratch and there is nothing wrong with that. This stuff is awesome, pretty similar to cloud dough in texture, and comes in loads of different colours. We’ve also used it for colour matching activities as well as basic tactile exploration. 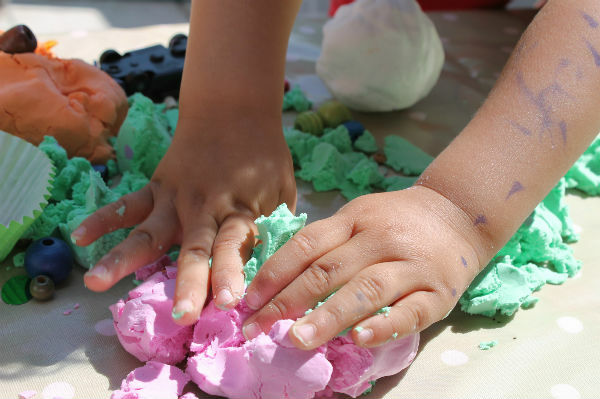 See more about moon dough messy play here. Sensory bags are fantastic if you have a child who is sensory defensive or does not like a lot of mess on their hands. It allows them that tactile sensory input, but at a safe distance – and is fun for all kids regardless of sensory issues. 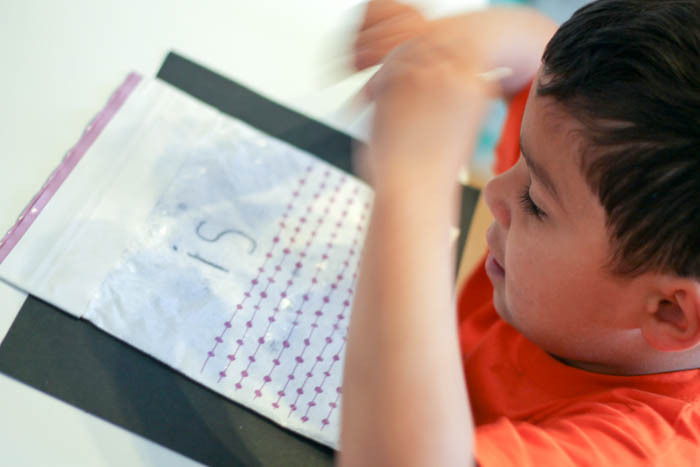 This sensory bag is ideal for practising letter formation. You can write on it with a q tip / cotton bud and then rub it out – write again, erase.. repeat as many times as required! It’s a lot of fun, and takes under 5 minutes to make (costing not more than a few pence / cents) See here for directions on how to make this sensory bag. These are another of my favourites. The pictures here don’t do it justice, so you need to try it for yourself. These are so pretty when held up to the light, and so very calming. Water beads are a fantastic sensory material to touch and explore too, but this idea is safer for younger toddlers or babies who may try to put the water beads in their mouth – allowing them to explore and enjoy the pretty colours at a safe distance. 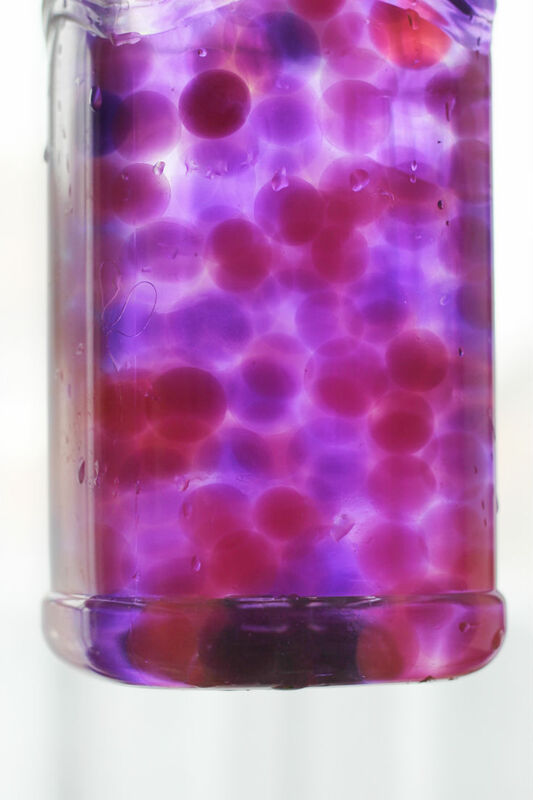 See how to make these water bead sensory bottles here. It is very easy! 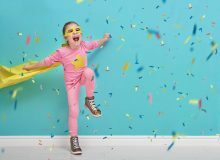 To check out all of our sensory play ideas, why not bookmark or pin our Ultimate Sensory Play page – it’s updated with new activities whenever we post them to the blog. 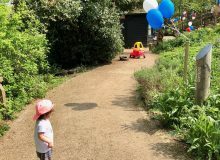 There are some of my favourites that haven’t made this top 10 list, with more fun ideas for sensory bags, calming sensory bottles and sensory play areas as well as lots more tactile sensory play bins and sensory play doughs. 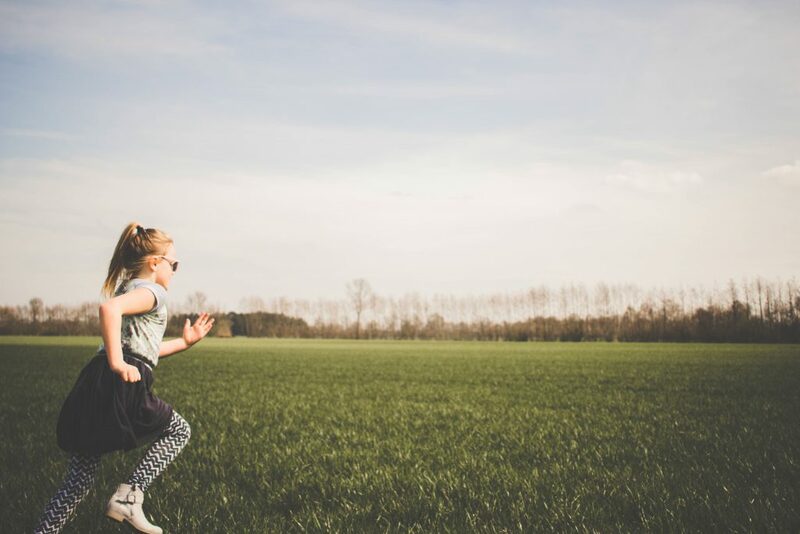 For more info on what sensory play is, and why it’s important along with suggested material lists by age check out this post. 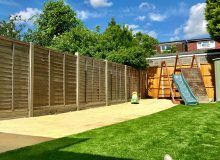 And don’t forget to follow our Sensory play and activities board on Pinterest, where we share sensory play ideas from here at In The Playroom as well as from other great sensory play blogs around the web. 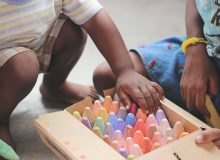 Follow Anna – In The Playroom’s board Sensory play and activities on Pinterest. Such cute ideas! Love the artificial snow and the glass painting. Paris Mitchell recently posted…My Baby Brother is Six Years Old! I will have to try some of these ideas with my kids. we love getting our hands messy! What a great roundup! I love your glitter gel dough and your home made snow is added to my favourites as this is something I really want to try!